1. Good English (writing and verbal) to interface foreign client directly. 2. · Inspector needs to have API 510 / AICIP, and a significant amount of experience in Pressure Vessels. 3. 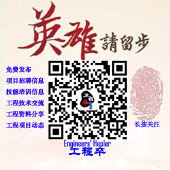 Level 2 UT, (ISO9712 or ASNT), better if able to conduct the test by himself. 4. Separator skids and pressure vessel experience preferred. 2. Hydraulic Power Unit and Control experience is a must. 3. Welding & NDT is better, but not a must. GMT+8, 2019-4-25 12:02 , Processed in 0.038418 second(s), 14 queries , Gzip On, Memcache On.